On December 12, 2016 at 2:53 p.m., the Galloway Township Police Department responded to a motor vehicle collision involving a school bus and two other vehicles. According to Police, a Dodge Ram driven by a 17-year-old male juvenile was traveling East on Jimmie Leeds Road when it rear ended a Honda Accord driven by Kristina Southavong. The Accord was stopped in traffic on Jimmie Leeds Road and after the collision was then pushed into the rear of an Integrity School Bus driven by Alonzo Tennant, also stopped in traffic. The bus was carrying 33 students from Cedar Creek High School at the time of collision and no one on board sustained injuries. Southavong was transported to ARMC – Mainland Division for a minor injury. The eastbound lane was shut down for approximately 40 minutes while the scene was cleared and investigated. The juvenile male driver was issued a summons for following to close. 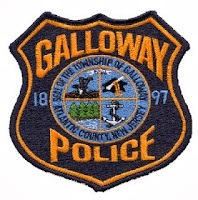 The Galloway Township Police Department would like to thank the Integrity driver for his professionalism and calm demeanor, as well as the students, and responding parents for the organized and safe response to a very chaotic and busy scene. The Galloway Township Ambulance Squad and DP Towing were assisting agencies.